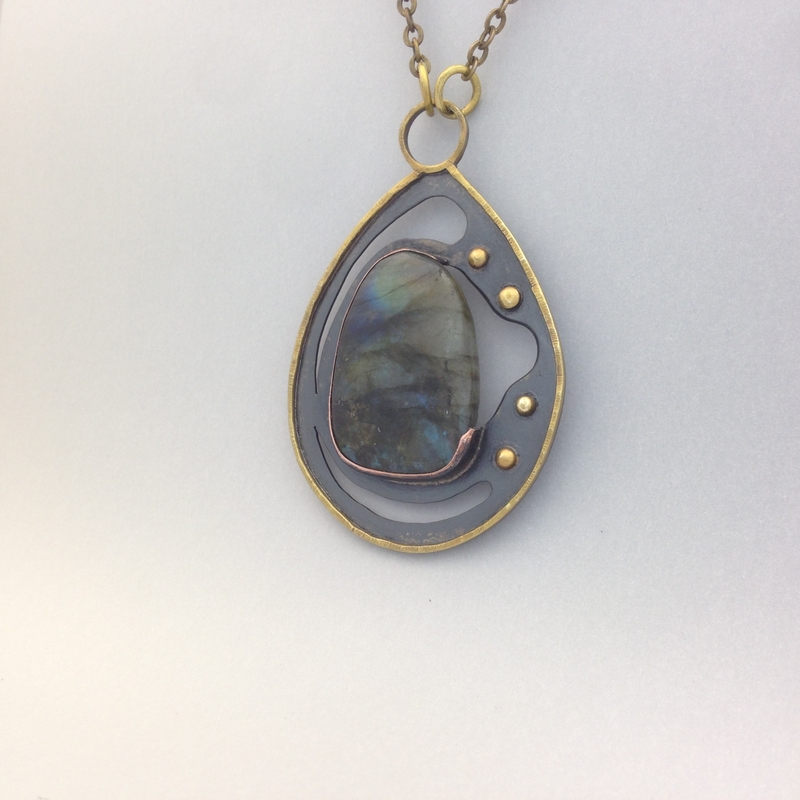 This necklace has a copper base that has a dark patina with brass wire surrounding the edge and brass ball assents. 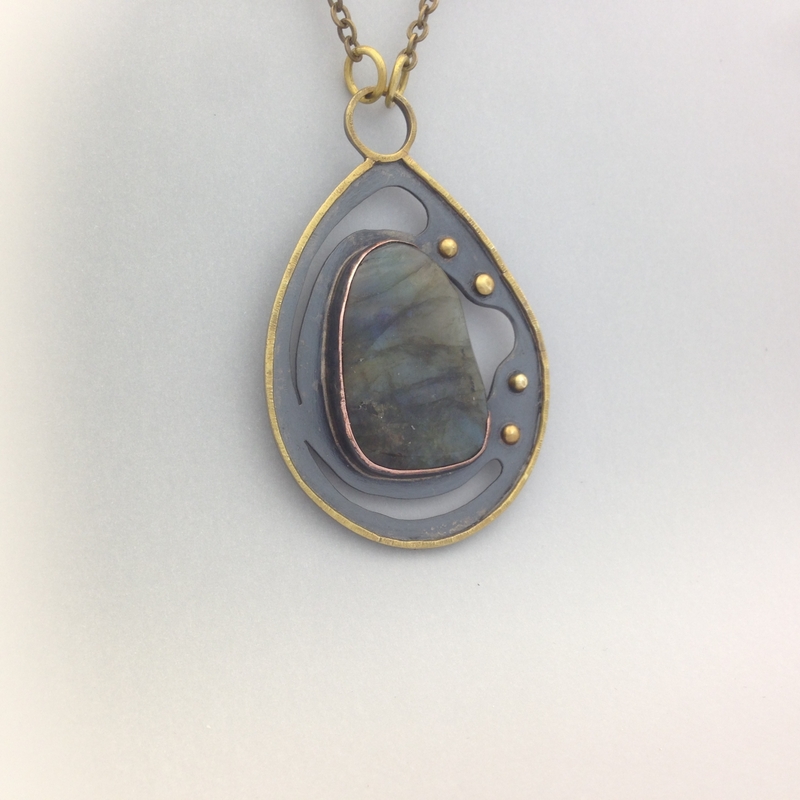 The freeform Labradorite cabochon is held in place by a copper bezel. 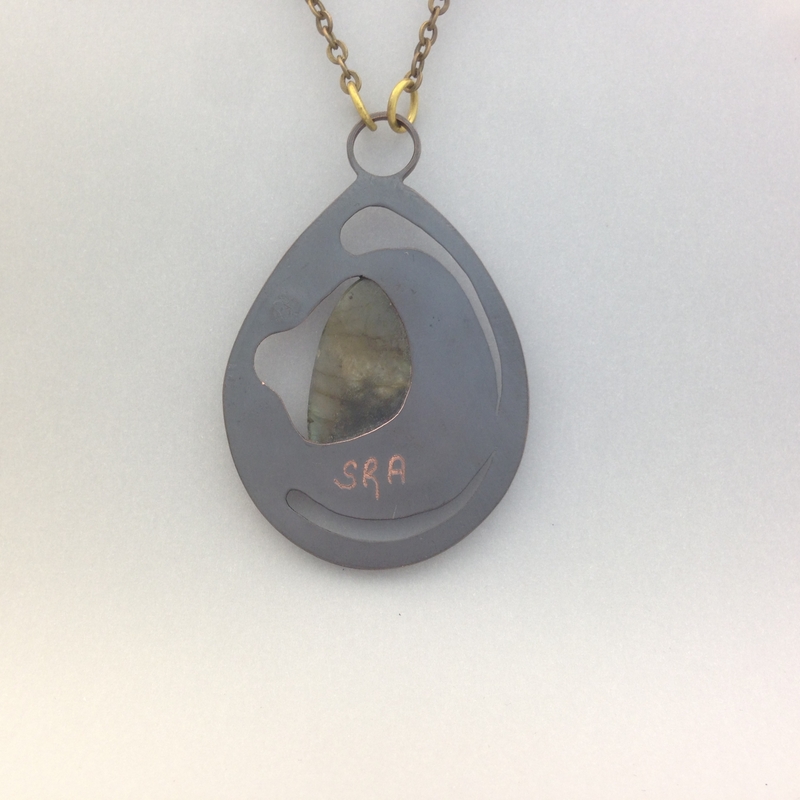 This necklace measures 1-3/4" x 2-3/4". 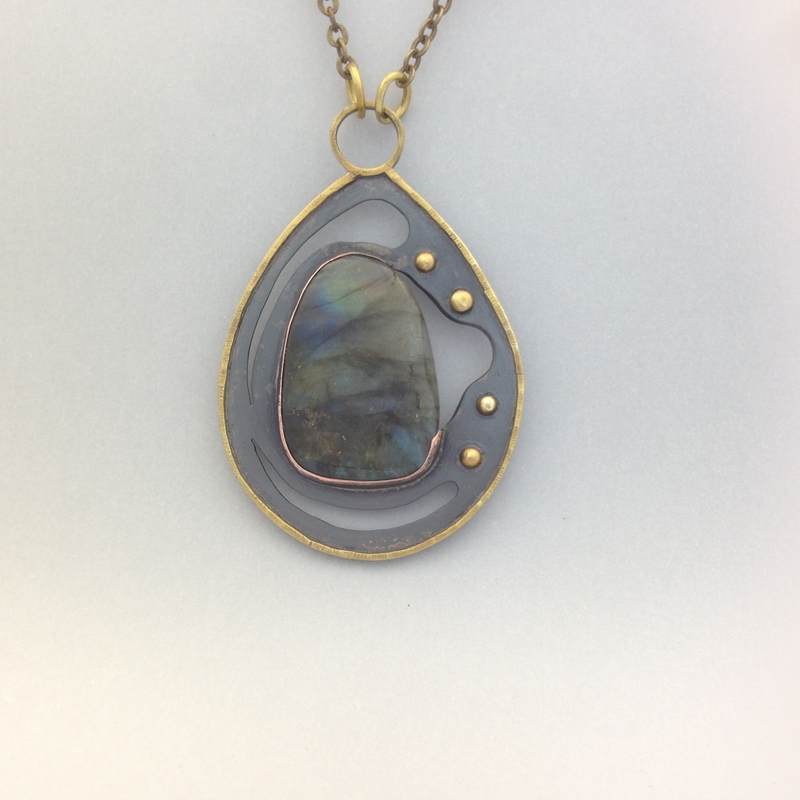 It hangs on a 24" brass chain.